New Delhi July 13 (IANS) The Enforcement Directorate (ED) has attached fresh assets worth Rs 101 crore of Maharashtra-based Jayaswal Neco Industries Ltd as part of its probe against the company which is accused of fraudulently obtaining Gare Palma Coal Sub Block IV/6 allocation an agency official said on Friday. The agency attached the office and factory building worth Rs 80 crore at integrated steel plant of Jayaswal Neco Industries Ltd in Siltara area of Raipur in Chhattisgarh and land worth Rs 21 crore at another steel plant in the state s Bilaspur. The ED had also attached assets worth Rs 208 crore of its Dagori Integrated Steel Plant in Chhattisgarh in June 2017. "Benefit to the extent of Rs 101 crore accrued to Jayaswal Neco Industries in the form of fresh share capital attributable to allocation of Gare Palma Coal Sub Block IV/6 which has been obtained through criminal conspiracy fraudulent means and committed misappropriation of natural resources by criminal activity relating to scheduled offence " an ED statement said. 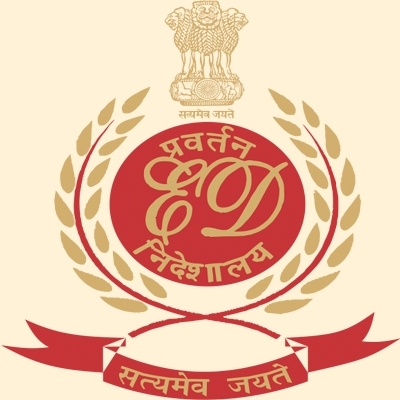 The ED is probing the case under the Prevention of Money Laundering Act on the basis of a Central Bureau of Investigation (CBI) FIR registered against the company for obtaining the coal block allegedly through fraudulent means. The CBI FIR alleged that the company obtained the coal block allocation by making misrepresentation of facts and it also resorted to illegal use of coal mined in their captive power plant (CPP) without any permission from Central government. The CBI has already filed a chargesheet in the case. "As per allocation letter the company had to wash the coal in a washery to 20 per cent ash level and the middling/ rejects produced during the process to be used in its CPP. However the coal was used directly in their sponge iron plant and CPP without setting up a washery or without any approval for its use in the CPP directly " the ED statement said. In its investigation the Directorate said it had found that Jayaswal Neco Industries extracted 3.8 million tons of coal during 2006-2015 from Gare Palma Coal Sub Block IV/6. Further the company had infused huge capital by issuing a large number of fresh shares for the purpose of funding the implementation of ongoing expansion projects including integrated steel plant and mine development said the statement.